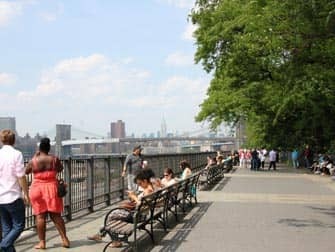 Take the Brooklyn tour to explore one of the most buzzing boroughs of New York. On this 4.5 hour tour you will see all the main attractions of Brooklyn, explore its hidden treasures and enjoy mouthwatering food. The tour is given partly on a coach and partly walking, so make sure your camera batteries are charged and you’re wearing comfortable shoes! The tour departs from Union Square which is very easy to reach from most subway lines. This tour is seasonal. Tickets available from March 2017. Once back on board the coach you will pass by Truman Capote’s home where he wrote Breakfast at Tiffany’s and In Cold Blood. 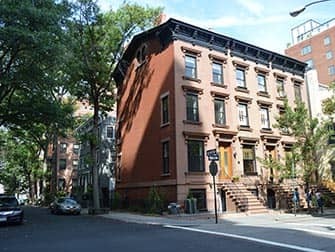 Brooklyn Heights is home to singer Björk and also actress Sarah Jessica Parker and her husband Matthew Broderick own property there. You’ll be able to see the Plymouth Church of the Pilgrims which was used as Hotel St. George in The Godfather. As you pass by, your guide will give you fun facts and you can watch scenes from the movie on the coach. Included in the tour is a lunch break at Junior’s on Flatbush Avenue. You’ll have an hour to taste a delicious pastrami sandwich and indulge in their “The World’s Most Fabulous Cheesecake.” Ever since its creation in 1950, Junior’s cheesecake has been loved (and devoured!) by many. (If you want to have another piece, there is another Junior’s located at Grand Central Station.) To top off your lunch, try a fizzy egg-cream soda, another classic. The entire lunch is included in the price of the tour. 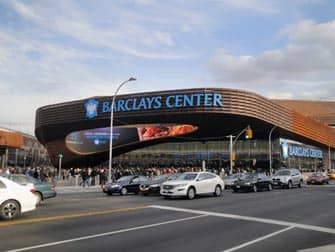 Continuing on Flatbush Avenue you will see the Grand Army Plaza at Prospect Park as well as Barclays Center, home to the Brooklyn Nets. Brooklyn native and rapper Jay-Z was one of the members of the ownership group of the team. Keeping to the sports theme, you’ll pass the former home of the Brooklyn Dodgers, Ebbets Field, which now is an apartment complex. One of the highlights of the tour, and the last stop, is the historic Green-Wood Cemetery, a beautiful rural cemetery. You will be able to walk to the Historic Chapel, designed in the Gothic-style by Warren and Wetmore – the same firm that designed Grand Central Terminal. 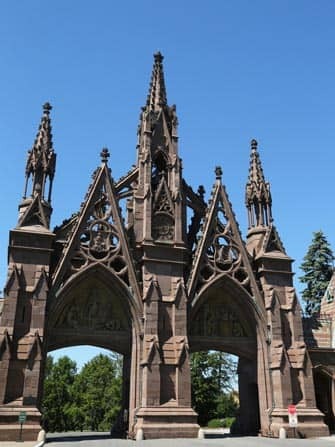 Now a National Historic Landmark, Green-Wood Cemetery once rivalled Niagara Falls for the title of America’s number one tourist attraction. And it’s not hard to see why with the ornate marble sculptures, stained-glass mausoleums and granite monuments of late Civil War soldiers. Before heading back to Manhattan you’ll drive through Victorian Flatbush in the heart of Brooklyn. This neighbourhood is characterised by its beautiful detached Victorian houses of which no two are alike. 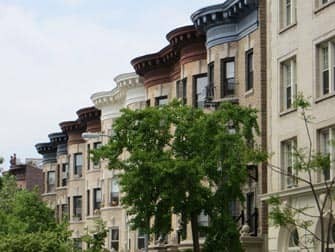 This little “Village in the City” is a true gem in Brooklyn and very different to the skyscrapers that define New York. 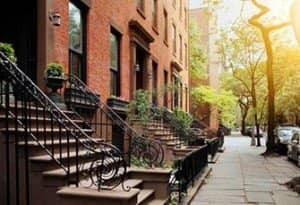 On the way back to Manhattan you’ll be shown a film about the famous residents of Brooklyn and have the opportunity to ask the knowledgeable guide anything about the borough. You will arrive at Union Square at around 3 o’clock which gives you plenty of time to enjoy the rest of the afternoon.